In his performing style, Jarosław Bester combines his experience in classical, klezmer, jazz, and folk music to develop his own interpretation style and to create a powerful mix of technique, sensibility, and creativity rarely achieved on the accordion. Because of this unique style, developed over the course of more than 30 years of performing, he is considered today one of the most original accordion interpreters worldwide. 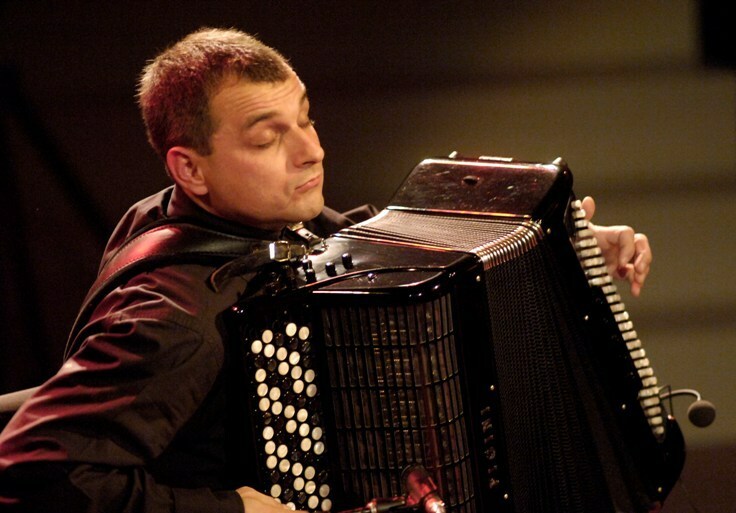 Jaroslaw Bester is a Polish accordion player and a composer, a graduate of the Krakow Academy of Music, a prize winner of several international and Polish accordion contests. This concert is a one of the two live shows in Madison being part of the 3rd Edition of the Chicago’s “Chopin IN the City” Festival. The festival is organized by Sound and Notes Foundation and aims at presenting Poland’s most interesting contemporary musicians as well as Polish music performed by foreign musicians.